Africanized honey bees, sometimes referred to as â€œKillerâ€ bees, are mutated, hybrid cousins of the regular European honey bee and the regular African honey bee. This species was accidentally bred through some scientific studies being conducted in 1950’s by Warwick Kerr, working for the University of SÃ£o Paulo. He lost some African bees in the Brazilian tropics and they eventually interbred with European honey bees and created the killer bee we know today. Africanized honey bees are pretty much the same as regular European honey bees. They spend their time pollinating flowers, crops, and producing honey. Physically, it is quite impossible to identify differences between Africanized and European honey bees. There are only molecular differences that only science can determine. The main difference between these two is their behavior. This behavior is what gives these bees their notorious â€œkillerâ€ reputation. 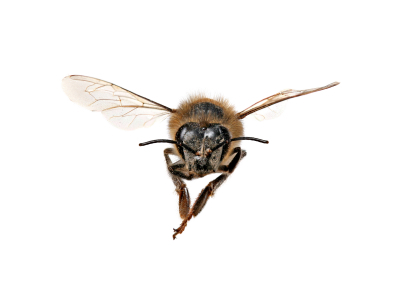 Africanized killer bees are easily agitated and aggressive, unlike regular honey bees. They will pursue anything they deem dangerous to the colony and can remain agitated for up to 24 hours. They are the more probable assailants of bee attacks and deaths.